Rosabelle and Pawel had a “happy ending” to their night and Rosabelle slept with the happiest look on her face. Today is going to turn out a bit differently than expected. Fortuna wakes up first again this morning and she uses the bathroom before heading for breakfast. She grabs the last serving of eggs and is able to get away with watching some tv since her parents are still asleep. 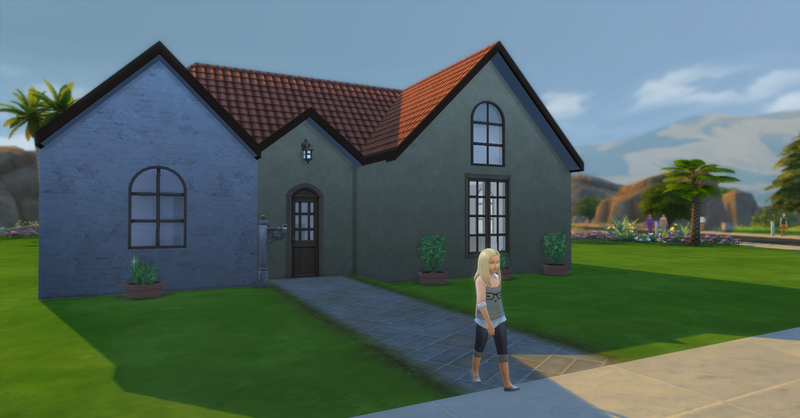 Rosabelle wakes up and cooks more scrambled eggs §10, their funds are now §38652 simoleons. 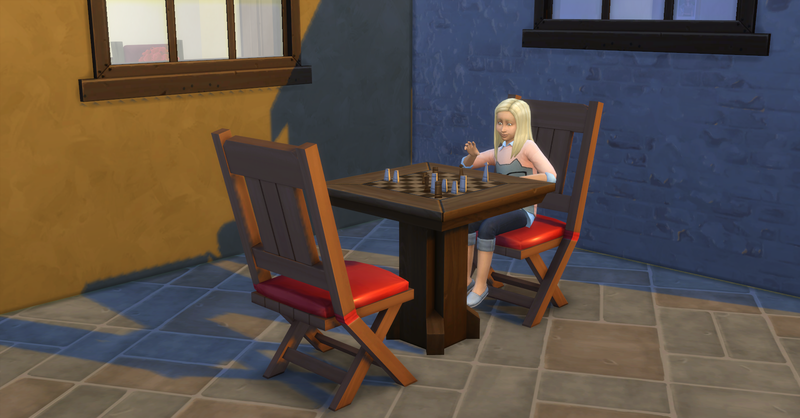 Fortuna goes outside to ponder chess moves before school to get focused. 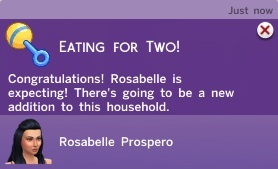 Meanwhile, Rosabelle eats her breakfast. Right after breakfast, she makes a mad dash for the bathroom and she look like she is going to be sick. Throwing up has made the toilet gross so she cleans it, Pawel has woken up and really needs to use the toilet immediately! 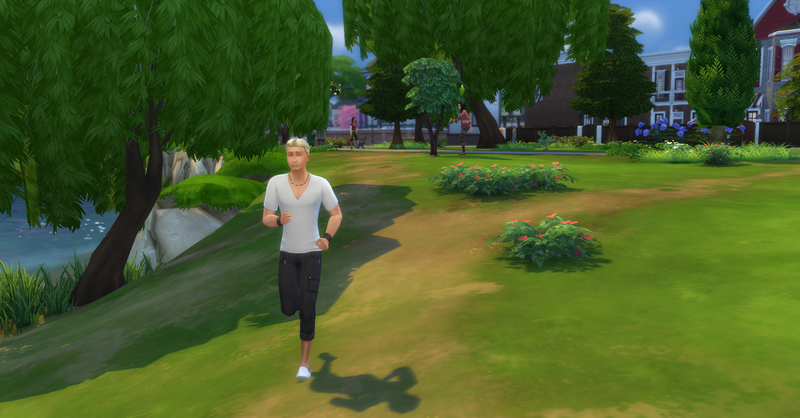 Today is both Rosabelle and Pawel’s day off so they plan to visit the Willow Creek Commercial District to go collecting. But they have to take care of a few things before the go. 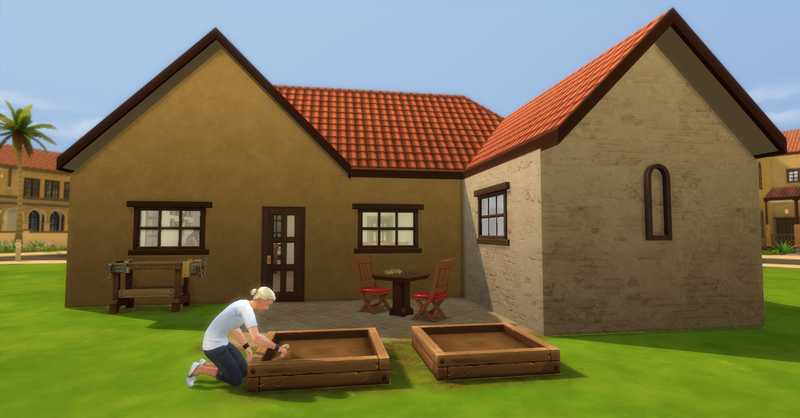 Pawel eats breakfast while Rosabelle tends the garden before they go, she hopes it’s going to be a real money maker in future. 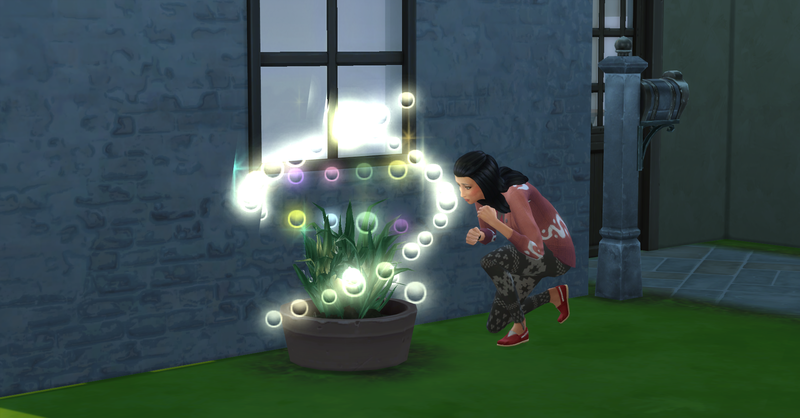 Rosabelle evolves the lily plant to great quality. Afterwards, she showers while Pawel does the breakfast dishes. He showers after her. They head to the commercial district, Rosabelle has high hopes of taking a cutting of the strawberry plant she needs to graft the dragon fruit. 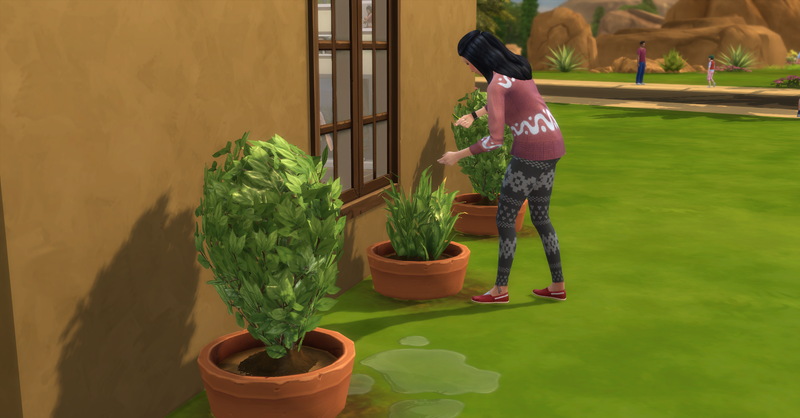 She also needs to be level 5 gardening in order to take a cutting, hopefully harvesting some things around the district will help boost her skill. They run around harvesting and collecting. Pawel looks quite dashing here. 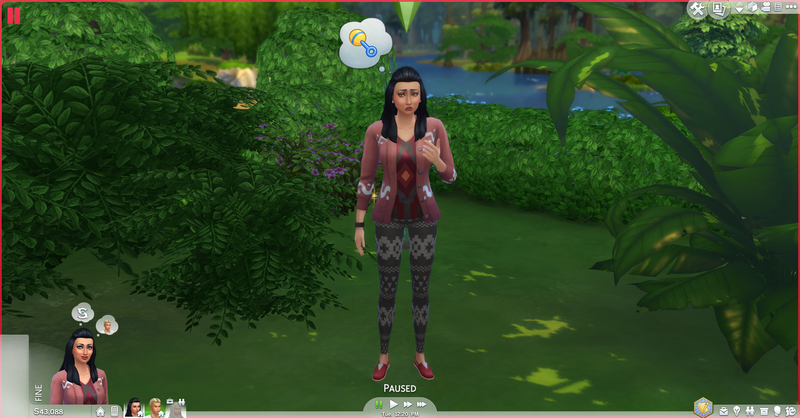 Rosabelle is feeling nauseous again and this though bubble appears above her head…it appeared that she was getting sick but maybe its a different kind of sick. Rosabelle is very close to level 5 gardening she needs to take a cutting, but they have harvested everything in the area. Pawel suggests they go to the library so she can study gardening and gain the last bit she needs. 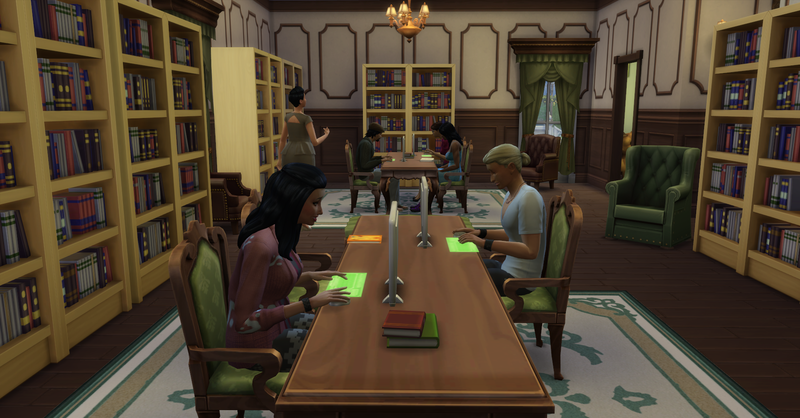 They arrive at the library, Rosabelle is still looking nauseous. 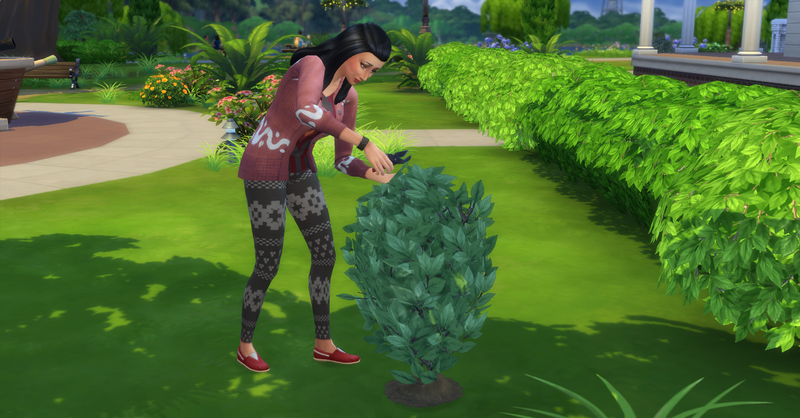 She researches gardening for a bit and gains level 5 gardening! She immediately goes outside and collects a cutting from a wild strawberry plant. 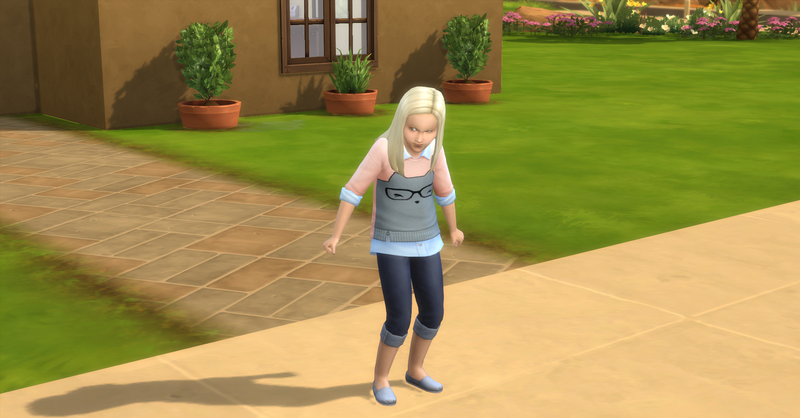 Then Rosabelle and Pawel return home in time for Fortuna to get home from school. 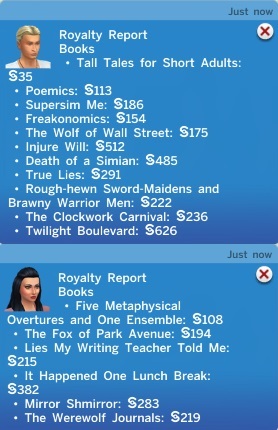 Today’s report arrives, they earned §4436 simoleons. Rosabelle and Pawel sell all their combined collections. When they get home, Rosabelle is hungry and Pawel continues work on his book. Fortuna arrives home tense from school and she tries to calm down in the mirror. Meawhile Pawel, has tended the garden and is planting a new snapdragon to replace the one Rosabelle will graft to in the planters he crafted on the woodworking bench. Rosabelle grafts the strawberry onto the snapdragon in order to create the dragon fruit and literally grow money! 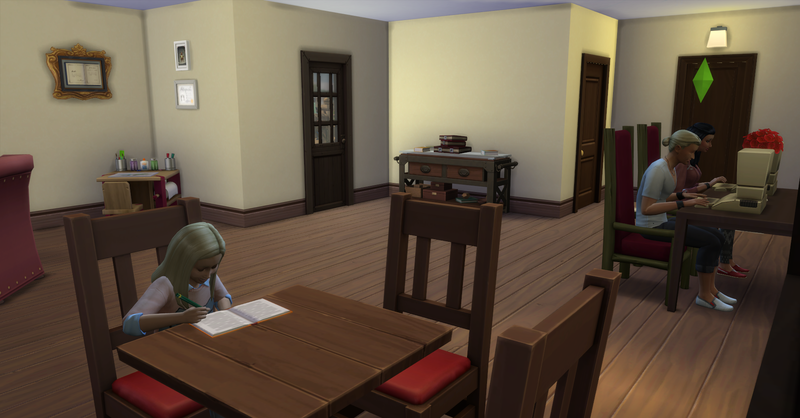 Fortuna does her homework while her parents work on their books. 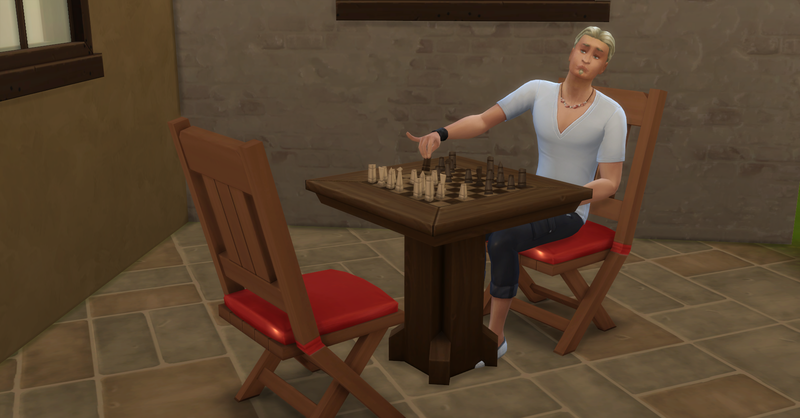 After writing for a while Pawel goes outside to practice chess for logic since he needs to gain 2 points for a work promotion. He’s so fancy! Fortuna finishes her homework and since she is now a B student she can do extra credit work too. She works on that while Rosabelle and Pawel write and play chess. Rosabelle finishes her book and sends it to the publisher. Pawel is now level 2 logic and he comes back in to write as well, he starts a new fantasy novel called Cat Lord, Cat Counsel. Rosabelle starts a new book, a mystery this time called Two Shoes Gone. Fortuna goes to bed. They stay up and write and socialize for a while, then Rosabelle goes to bed because she is tired. Pawel writes for a while longer and then joins Rosabelle in bed. Rosabelle and Pawel are woken up at midnight to confetti and this lovely message. Rosabelle shares the good news with Pawel, not like he could have missed the confetti that woke them out a sound sleep. They chat about her pregnancy and Pawel really wants a boy. He has heard that recent studies have shown that listening to alternative music can influence a male gender. He buys them a residential wall speaker (§200) so she can listen to alternative all the time. Their funds are now §43562 simoleons. 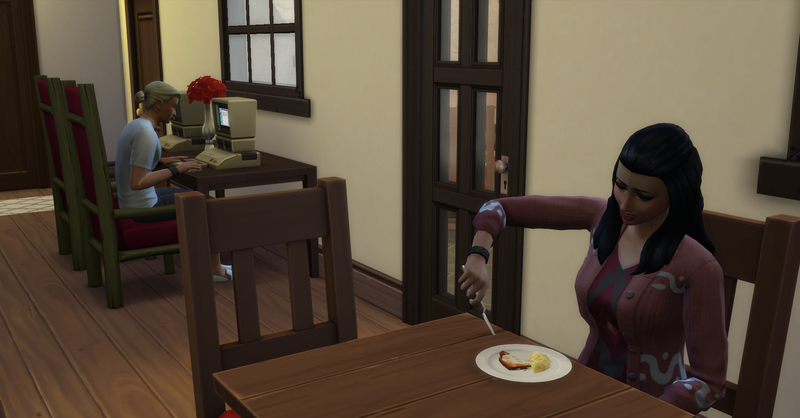 After Pawel goes back to bed since it’s the middle of the night, Rosabelle is hungry so she grabs a snack before going back to bed. Ugh, maybe not. Rosabelle is feeling nauseous again. Rosabelle heads back to bed after her snack, she just hopes that this pregnancy will be a little easier on her body. Pawel is concerned about the added cost of another child and the fact that while they just build this house they are going to have to expand soon. Pawel was so funny lifting his pinky while he moved chess pieces! I know right! It was the best random pause moment ever!